Knowledge Centre - What is a Respirator Mask Used For? While many people think of respirator masks as being devices for people who work in health care facilities, they are actually used in a number of settings. This has led to the development of more than one type of mask. Depending on the setting, one of these designs for respirator masks are likely to be a better choice. Here are some basics you should know about these masks and when they could come in handy. The basic design for a respirator mask makes it possible to cover the nose and mouth. The goal is to filter out any airborne contaminants that could lead to respiratory injuries or distress. Some designs include the use of filters that actually trap the contaminants while others rely on the use of materials to prevent the contaminants from ever getting to the nose or mouth. The half mask respirator is one of the more common designs used today. Sometimes referred to as a disposable respirator, this mask is large enough to cover the nose and mouth while leaving the rest of the face exposed. As the name implies, it’s only intended for use on a one-time basis. You’ll find this mask offered for sale in a number of retailers and usually available in packs of ten or more. The full face respirator mask is usually equipped with some type of filtration system that can either be cleaned for ongoing use or comes with disposable filters that can be used once and then replaced. This type of mask is more commonly used in settings where exposure to certain types of contaminants is consistent and carries a greater degree of risk. If you’ve ever visited a friend in a hospital, several people are likely to wear respirator masks. That includes nurses and technicians who come in direct contact with patients who are currently contagious or who have recently been exposed to some type of element that has triggered an infectious disease. Depending on the severity of the patient’s condition, the mask may be the only special equipment worn. At other times, the health care staff may be required to wear full anti-contamination grab as a precaution. Remember that it’s not just hospital personnel who may be required to wear masks. If you are visiting a friend or relative with a contagious condition, there’s a good chance that you will need to put on a mask before being allowed into the room. You may also be asked to wear a mask if you have a cold and the staff wants to prevent the patient from being exposed. When professionals who offer emergency medical care respond, they often wear some type of protective gear. Along with gloves, they are likely to also put on masks. This is especially true if there is some potential for the medical providers to be exposed to bodily fluids while administering the care. With less concerns about their own safety, it’s easier for the medical team to concentrate on stabilizing and preparing the patient for transport to a local medical facility. If you are taking care of a loved one with the flu or some other contagious condition, it makes sense to keep a disposable respirator mask on hand. This makes it all the safer to take care of basic tasks like giving medication, changing the bedding, or helping adjust the patient’s position in bed. Remember that it’s a good idea to put on a fresh mask every time you enter the sick room. Perhaps you have some sort of allergy that makes being out among people difficult. In this scenario, wearing a disposable mask makes a lot of sense. This is often enough to prevent you from dealing with allergic reactions that may be life threatening. Working in a lab or plant that requires being around chemicals is another good reason to wear a mask. While the finished products are considered safe, there may be some dangers associated with handling the chemicals while conducting research or manufacturing the product. Fumes released during the process could cause significant damage to the lungs and airways, or bring on a number of other health ailments. Demolition work sometimes involves razing buildings that contain asbestos. Rather than run the risk of exposure, workers are provided with respirator masks. The masks help filter out the dust and other airborne residue containing tiny fragments of asbestos and other contaminants. Thanks to the masks, it’s safer to engage in this type of work and minimize the risk of all sorts of respiratory ailments. Working on a commercial or private farm means coming into contact with all sorts of insecticides and other products used to prevent pests from destroying crops. Choosing to wear masks while spreading these agents is a must. While they do a good job or protecting the crops, some of them release fumes and gases that are not healthy for humans. The right type of mask filters out the harmful fumes and makes it easier to get the job done safely. If you love to garden and have a small plot of vegetables or some flower beds as part of the landscape, there’s a good chance that you use products to enhance the nutrient level in the soil. You may also use products to protect the plants from certain types of insects. When applying any of these products, a mask is a good idea. Any vapor or fumes released during the spreading process will be filtered out and you will not be at risk for any type of nasal or lung irritation. If you like to do chores around the house, it pays to keep a few masks on hand. This is especially true when you want to repaint cabinetry or walls. Whether you prefer using rollers and brushes or sprayers, the fumes from the paint can be overwhelming. That’s true even if the space has adequate ventilation. Keeping disposable masks on hand for paint jobs is a great way to protect your health. How About Refinishing Floors and Other Woodwork? Refinishing a hardwood floor typically involves removing layers of stain and sealing products. That creates quite a bit of dust during the process. You want to wear a mask while stripping the flooring and while removing the residue. It also helps to wear a mask while you apply the new stain. Once the stain is dry and you are ready to coat the floor with some type of new sealant, have a mask handy too. Doing so protects you from any possible reactions to any of the dust or the products used to treat the floor. Dust from coal is one reason that many miners today wear masks while working. The masks help to filter out the dust that once caused a condition known as black lung. Thanks to the fact that many mining operations today consider masks to be essential equipment, the incidence of this type of lung condition has decreased significantly. Miners are not the only ones who are exposed to dust as they work with common materials. Most fibers produce fine dust that is easily airborne during a carding, spinning, weaving, or twisting procedure. This means laborers who work with those types of machines in textile plants are at risk for developing a condition known as white lung. 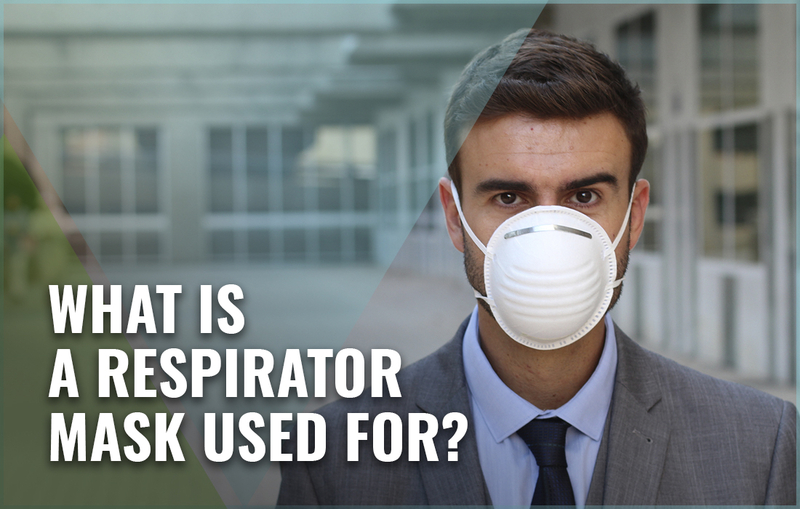 By requiring employees to wear disposable masks, the potential for developing this condition is kept to a minimum. All sorts of military operations involve exposure to gases and other types of airborne contaminants. Whether during training or in an actual combat situation, it’s not unusual for full face respirators to be employed. Doing so helps protect military personnel from exposure to elements that may cause immediate problems or could trigger health issues years after the fact. Professionals who engage in the development of new pharmaceutical products often have to handle materials that emit small amounts of vapors or gases. The result is that they are at a greater risk of respiratory ailments or health issues caused by inhaling those fumes. With the aid of the right type of mask, working with those materials is much safer. These are only some of the examples of situations that call for wearing some type of respiratory mask. Before assuming that one is not needed, it pays to do a little research and find out what sort of policies and procedures apply. If you are visiting a health care facility or a place of business and are asked to don a mask, don’t refuse. While they may not be as comfortable as you like, they are being used to protect you from something that could cause harm.